On Tuesday, the House Appropriations Subcommittee on Agriculture held a hearing titled, “The Rural Economy.” Today’s updates provides a brief recap of some of the issues that were discussed at the Subcommittee meeting. In his prepared testimony before the Subcommittee, Dallas P. Tonsager, the CEO of the Farm Credit Administration (FCA), indicated that, “The FCS remains fundamentally safe and sound and is well positioned to withstand the current risk environment facing U.S. agriculture. System borrowers will be challenged by strong global competition, rising interest rates, low cash grain prices, and uncertain agricultural trade policies. While the current credit stress level in the System’s loan portfolio is well within its risk-bearing capacity, asset quality is expected to decline in 2019 from relatively strong levels in 2018. With respect to farmland values, Mr. Jensen stated that, “Farmland values in much of our service territory softened slightly in the last half of 2018 but have remained stable overall. This was expected and, in fact, better aligns farmland values to profitability in the grain sector. Stability in land values give producers the option of restructuring their operations to shore up operating capital and sustain production. This strategy improved liquidity, but we can all agree that it is not a sustainable practice for an operation when facing rising interest rates and multiple years without profitability. While producers in many areas of our territory benefited from strong yields in 2018, the industry continues to be challenged by compressed margins. For producers who rent farmland, softening in the market places downward pressure on cash rental rates which will help their bottom line. 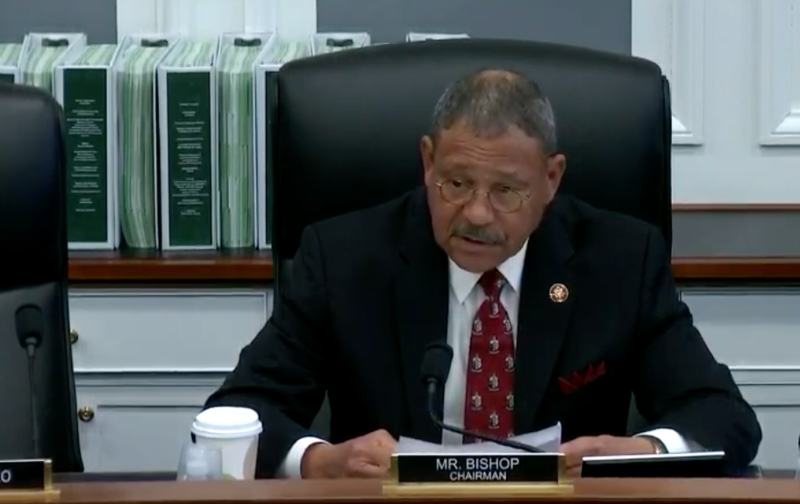 Your excellent and frank testimony seems to raise at least a flashing yellow light with respect to our rural economy, which is the subject of our hearing today. “You cite a 9% decline in U.S. ag exports in the fourth quarter of 2018, labor availability concerns, net cash farm income that is well below the level achieved five years ago. Somewhat lower cropland prices for the rest of 2019, 4% increase in total farm debt, and a rise in farm bankruptcy rates. Thank you for noting the serious impact that extreme weather events have had on farmers in many parts of the country. Taken together, all of this is very, very concerning. Mr. Tonsager noted that, “Yes, I think there’s a great concern, especially related to net farm cash income. That number alone should cause all of us engaged in helping agriculture concern. And Rep. Henry Cuellar (D, Tex.) stated yesterday that, “Mr. Tonsager, let me ask you, in your written testimony you mentioned the tariffs that the administration has imposed on China and other countries. And as you know, they’ve resulted in retaliatory tariffs on many of the American agricultural products. This has increased price risk for agriculture and key commodities that many farmers grow in my district, and across the nation. Can you talk a little bit more about what the Farm Credit Administration has done to mitigate the negative effects that these tariffs have had on farmers? We haven’t even talked about the President trying to shut down the border. I mean if you want to talk about economic impact to our ag folks, that would have an extremely negative impact. On Wednesday, the Federal Reserve Board released its October 2017 Beige Book update, a summary of commentary on current economic conditions by Federal Reserve District. The report included several observations pertaining to the U.S. agricultural economy.